Sweet monkey baby rattle with blue ears and a cute smile. 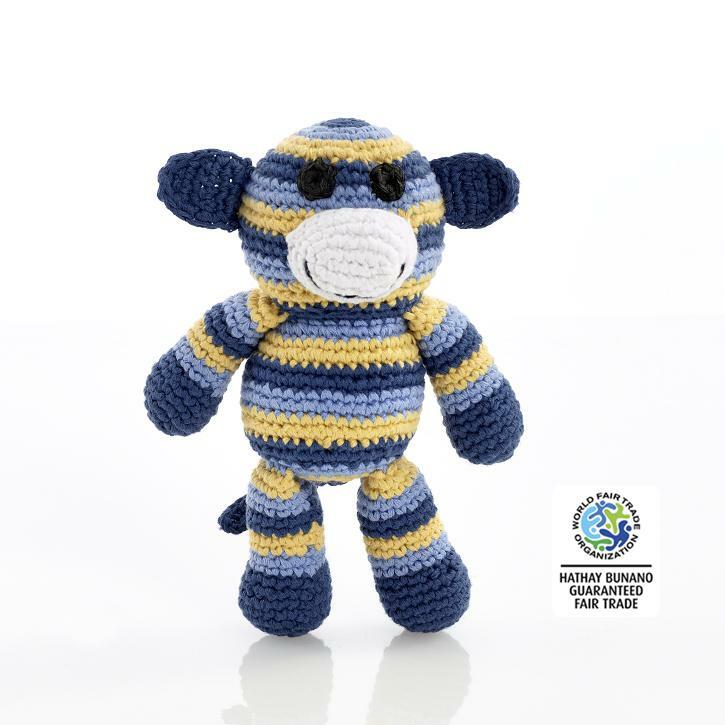 This monkey soft toy is handmade with blue and yellow stripes from cotton yarn. He is a real cutie and full of fun and would make the ideal gift for the special little person in your life. Who made my monkey baby rattle? Our cotton monkey soft toys are made by our fair trade partner Pebble.